Barley Grass is one of the best sources of nutrients for the body’s needs and assists in growth, tissue repair and well- being. It has one of the highest natural levels of the enzyme SOD (superoxide dismutase), a powerful antioxidant that protects the cells against free radical damage. 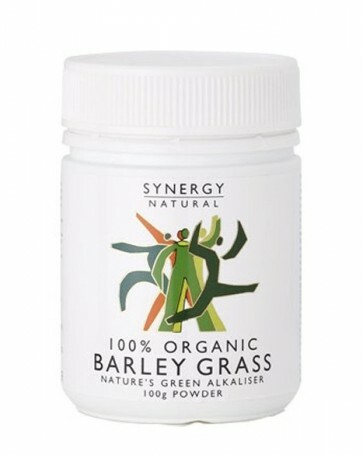 Synergy Barley Grass is 100% pure, whole leaf Barley Grass powder. It is grown outdoors in an environmentally clean area of Australia in deep, rich soils. 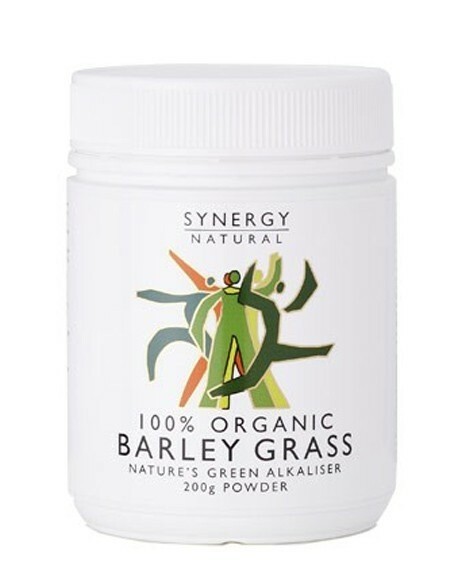 Synergy Barley Grass contains no additives, fillers, colours or preservatives, and is handled sensitively every step of the way during growing, harvesting and processing of the plant in order to protect its nutrient profile. 100% pure, certified organic whole leaf Barley Grass powder.